Congratulations to our clients on their new homes! Simply click on our client's name to see what they had to say about their new home and what they had to say about the service they received from us. Most of our business is referred to us by happy clients, and we think you will see why! To All of You for your help in finding, funding and achieving our new home! Dwight, Tricia, Ernie, Nathalie, May and anyone else I may not know! We are so excited for Anthony Allen! He's a great customer and wish him the best. TRICIA AND MAY ARE AMAZING!! From the start with the application to the very last minute with the closing they kept me informed and taught me everything I needed to know about purchasing my first home! I could not have done this without them. BRAVO LADIES!!! My family truly can not thank you enough. Sharif was a dream client and was such a joy to work with. At closing, he gave me a BIG hug and asked me to give our processor one too. He said Tricia was the NICEST! We appreciate his Five-Star Review on Google! What a gorgeous and amazing couple. We hope you enjoy your home and wish you all the best! What a pleasure to work with this desriving family. Great clients and so kind. 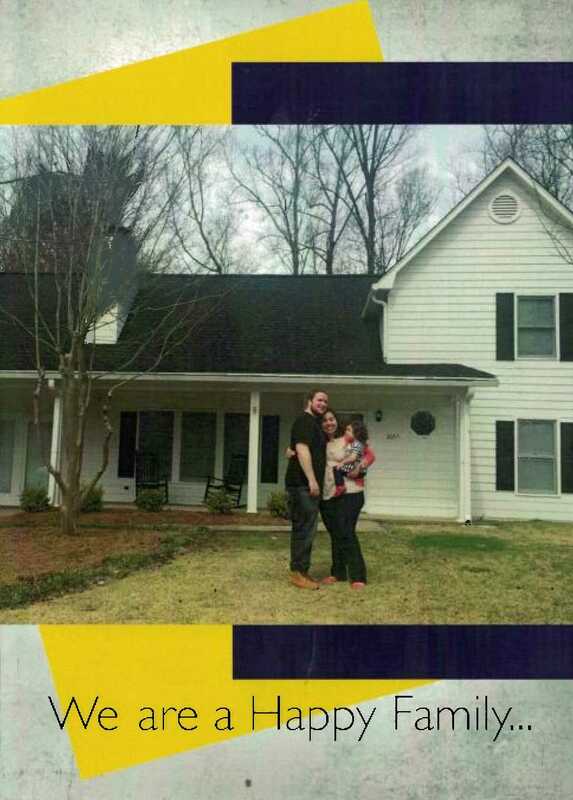 We are so excited for your family and happy you found the house of your dreams. 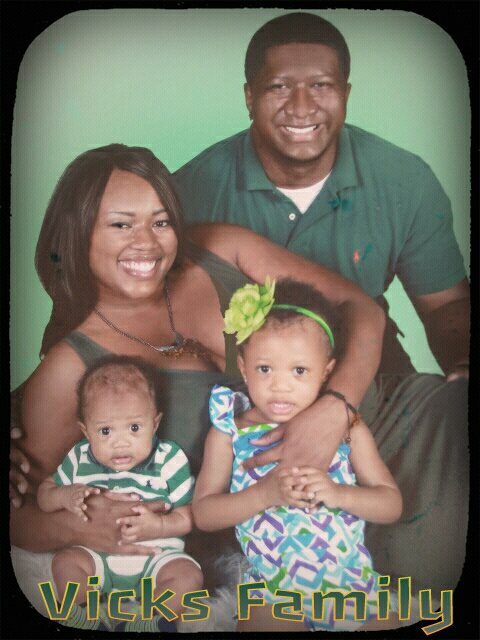 What an amazing family! Glad to get to know you and your story. Just wanted to thank Tricia, Ernie and May for everything you have done for me. I'm so glad that we finally got the closing done. You have been a great help. Good luck and bless. Thanks so much. We'd like to say thank you to Pat for his business, and that he was a pleasure to work with. I would like give my special thanks to May and the entire Atlanta Mortgage Lending team for assisting me with my home purchase. I am glad to work with a company and a wonderful professional staff in order to process a smooth transition in acquiring a home loan. To apply for home mortgage can be daunting and overwhelming. However, your team explained the step-by-step approach throughout the loan lending a process and the application was processed on time for the closing. I especially appreciated that May attended the closing to greet me in person and wish me the best as a new homeowner. 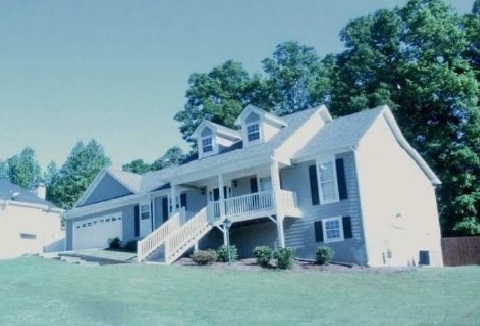 I would recommend, Atlanta Mortgage Lending for your lending and refinancing needs.  They are dedicated to help individuals and families with dreams of home ownership. 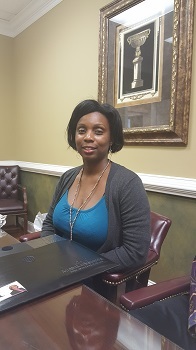 Atlanta Mortgage Lending wants to extend a great big thank you to Latrice and congratulate her on purchasing her home. She was so great to work with. We wish you luck and prosperity in the future! Donald Miller came to us after finding a home and after trying to go through a well-known large mortgage company. Something went awry there... but we were able to get him to closing in just 3 weeks! Donald has already sent us one referral since closing two weeks ago. He told us to expect many more! I’ve started immediately making my new house a home. Now I just have to find a wife to go with it! You all are very knowledgeable and efficient. You let people know the steps that are needed, and that makes it easier on those who don’t know the process. Having a husband and wife team of Ernie & May working together makes a good tag team. At the drop of a hat, they take care of it. Sometimes the solutions are creative, and that is good! Grace was very knowledgeable about the whole process. She's been doing this for a while and really helped me. She became a friend, and was concerned for my well-being. She was more than just a Realtor® she was a friend. 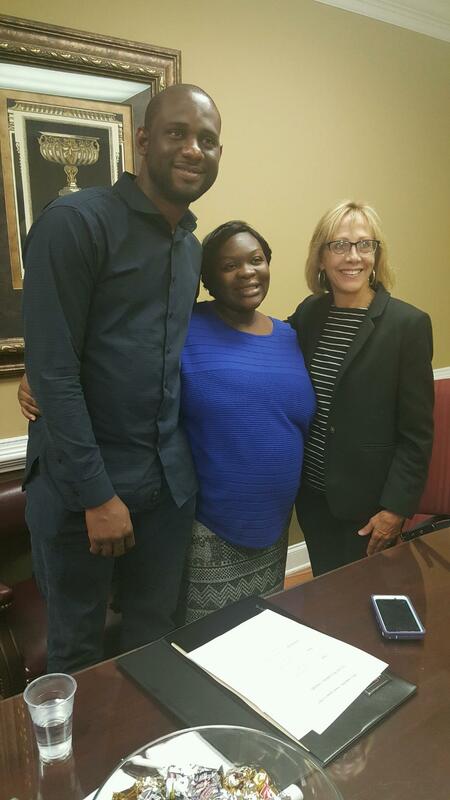 Here at Atlanta Mortgage Lending, we are excited that you thoroughly enjoying your new home, Donald, and wish you luck on your future endeavors! Daniel was wonderful, very knowledgeable. He took the time to explain every detail and every possible route that we could take to secure the loan that I needed, which allowed me to take the right steps towards a lower interest loan and less paper work. Daniel was extremely helpful and went above and beyond, answering email and phone calls at all times even late at night. He also provided updates every step of the way, making the process less stressful. I am really grateful that I had Daniel on my corner and will recommend him to all my friends. Thank you very much Joberto. It was worth the planning to find the right mortgage for your needs. It made the process smoother and your cooperation made a difference as well. 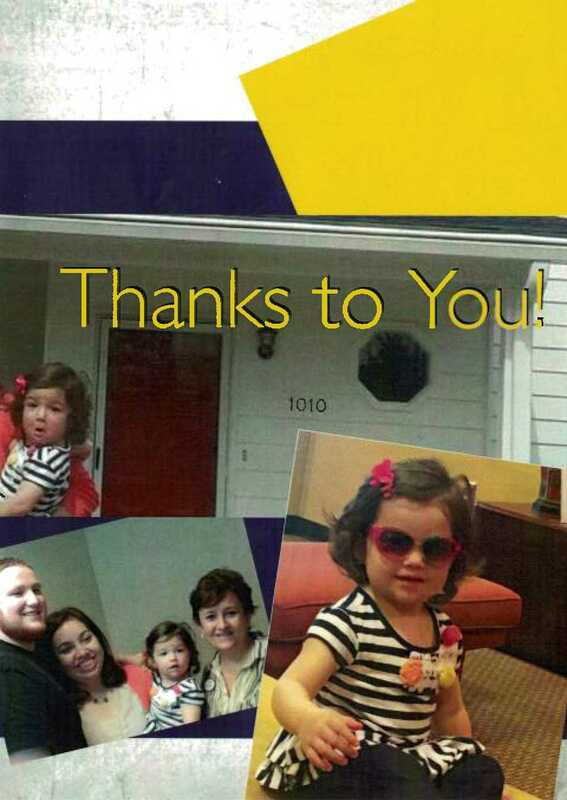 We received a card from one of the sweetest families we have worked with so far. Thanks for handling our loan. May, we know you were not required to be at the closing and you made the effort to be there. Thanks for that. Ernie, we know you pitched in and took care of differences when the loan details when the loan details changed before locking in. You treated us like family, thank you! We appreciate your professionalism and your personally making sure everything went smoothly for us. We love you guys and are happy to have friends like you. Tell Susanne we said thanks as well, we know she worked extra hard to get things done early. -you guys are the best! My wife and I couldn't be more excited with how everything turned out. Even though we were a little worried everything worked out awesome! Daniel went above and beyond all expectations with the amount of time processing all of the paperwork. Any question I had during the process, he had the answer and got the information back to me to ASAP. All of his work was completed in a professional and friendly manner. No hidden information, no surprises. All disclosed up front. We were completely happy with Daniel’s services and would recommend him to anyone looking to purchase a home. Thank you so much!!! Thank you Robert and Stacy for your kind words. Ensuring the clients have a pleasant experience is most important to what we do. I hope both of you enjoy your home very much. I am sending you a quick e-mail to thank you for all of your help in securing a mortgage for me. I have bought several houses over the past 25 years and I have never worked with a lender that was as pleasurable and efficient as the two of you. You were very clear in your instructions reference the documents you needed, you were timely, honest and demonstrated that you cared about me as a customer and a buyer. I am so pleased I had the opportunity to work with the both of you and certainly hope that I can continue the relationship that we started. If you ever need anything or if there is ever something I can do to support you in the work that you do, please let me know. Thank you for everything, we would not have been in our new home without you help. Our entire family thanks you whole heartedly for your patience, perseverance, practicality, and prayers. We sincerely appreciate your support and expertise over the past few years. It has been a wonderful experience working with your staff and your entire team. We would highly recommend anyone that is seriously considering purchasing property to consult with your company first. You have successfully guided my family from bad credit to credit worthy of the low interest rate and financing that you helped us to qualify for. We are forever indebted to your company for the services that you have provided us. If I could some you up in one word, you would be a "Blessing". 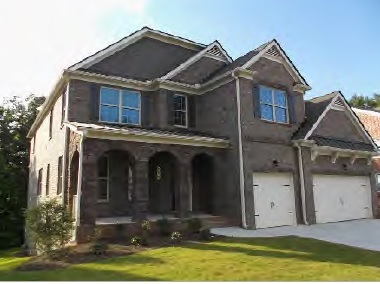 We so enjoyed working with Atlanta Mortgage Lending. 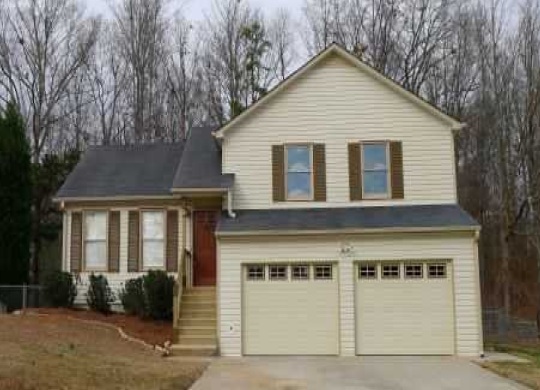 They are a great team that helped us navigate new home-buying in Georgia. We appreciated their knowledge and patience throughout the process, especially as we found ourselves in a situation that resulted in terminate the contract for one home before offering on another. They also locked in the best rate we could find. Even after closing they were helpful with follow up questions, and they made us feel like people and not just a loan number. Thanks for everything!" Daniel did a fantastic job of shepherding us through the loan process. He was available nights and weekends to assist in bidding on properties. Once we went under contract, Daniel ensured that the loan process itself was as simple as possible requiring minimal effort on our part. Daniel was very easy to work with; he was always happy to run multiple loan scenarios for us, and the rate we locked into was competitive with the market. 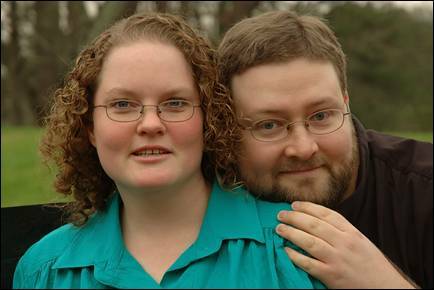 We are very pleased with our new home, and Daniel played a large part in getting us here." Thank you David and Tashika. Congratulations! I am happy you found a home which met your needs. In addition, a good interest rate with a suitable mortgage payment. It’s gratifying to know good service always results in a satisfied client. That puts a smile on my face. Thank you both very much. Wow, wow, wow Daniel Govin is the man! He exceeded our expectations with his knowledge of the mortgage business and the closing process. 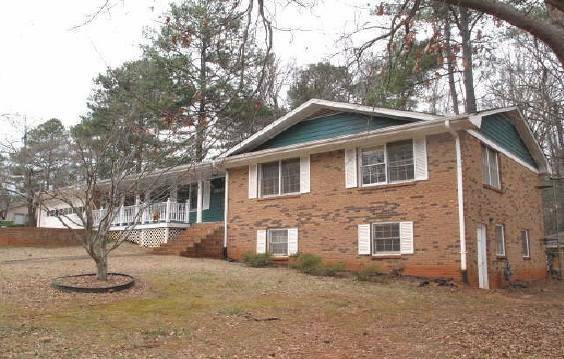 Daniel met our goal for a payment we were comfortable with and got the home we wanted. The day of closing, our file was ready and complete before we even arrived. We went to closing with no worries as all was handled. Stress free on a stressful day! If we had questions Daniel took the time to explain and assured we understood. He walked us through everything step by step and always returned calls within the hour. We have a family member we’ve provided Daniel’s information to. So when they begin the process, they will have the same experience we did. God bless you and your family Daniel, you have been an awesome gift of helping others and the Brehon’s do not take it for granted. Hi Etien and Shelly, congratulations! It’s always great to hear the joy of proud homeowners. You guys just needed a little guidance and someone who could provide a mortgage to meet your needs. 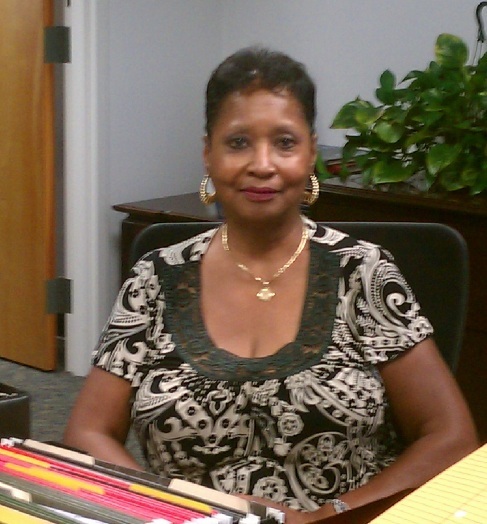 At Atlanta Mortgage Lending, we pride ourselves in helping others and really being there. As always, your referrals are treasured. Thank you both very much. 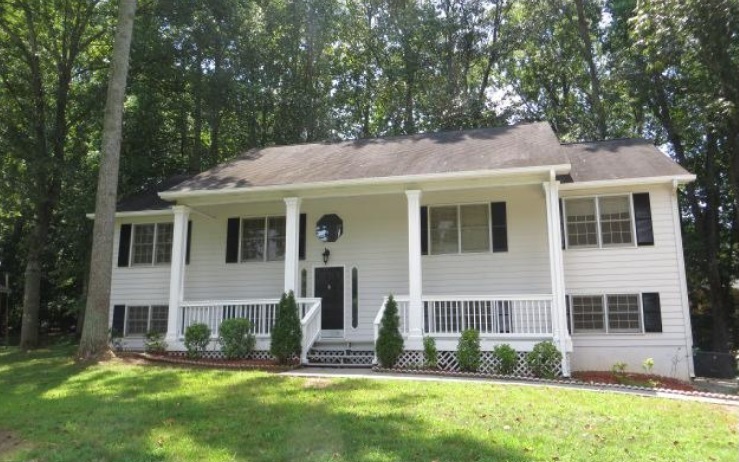 Daniel, you far exceeded our expectations and made the home buying process very simple and easy. You are extremely knowledgeable and I appreciate you sharing that knowledge with us without restrictions. You gave us a rate which resulted in a mortgage payment below our budget and did not attempt to sell us on a mortgage amount beyond our affordability. It was 100 percent worth it to have you handle our first home purchase and keeping us informed through the process. Lastly, you were available 24/7 for questions and reassured us every step. Thank you for your wonderful service Daniel. I am always happy when the client is satisfied. Thank you for the kind words. The home purchase process should always be a pleasant experience. Hearing the monthly payment fits your budget solidifies we took the appropriate approach. I also met an excellent individual to work with in this experience. 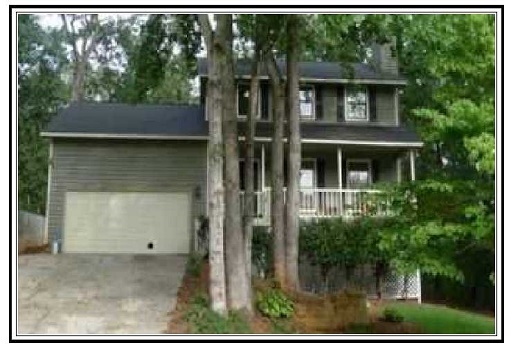 Atlanta Mortgage Lending was there for us from the point of the loan submission all the way through the closing. By providing a clear checklist of information and documents that we would need to provide for our loan submission, May & Ernie helped to make our process quick and easy to understand. With their combined knowledge & outstanding personalities they were never more than a phone call away and often provided answers to our questions prior to us asking. May also went above & beyond by helping us to resolve a couple of outstanding credit issues without affecting our timeline. Having them show up to our closing showed us how much they care about their clients, confirming their extreme professionalism & quality of their service. May and Ernie Smith are an awesome team. I am ecstatically overwhelmed by the excellent service they provided. They were a pleasure to work with and made the process virtually painless. Their knowledge, expertise and the way everything was handled was nothing less than professional. I had a few bumps along the way trying to find a home I really liked, but no matter what May and Ernie were still there each time I needed them for questions or advice. They both had a unique way of explaining and handling any issue that came up and spent a good deal of time walking me through the loan process so that I had a thorough understanding of what the next steps would be. They were always available to answer all of my questions clearly, concisely and in a timely manner. There is no doubt in my mind that they are the epitome of great customer service. May and Ernie, you went above and beyond and will be forever grateful. Special thanks for your diligent efforts made to push the deal over the finish line during the last 24hrs of processing. Thank you for your kindness and support. 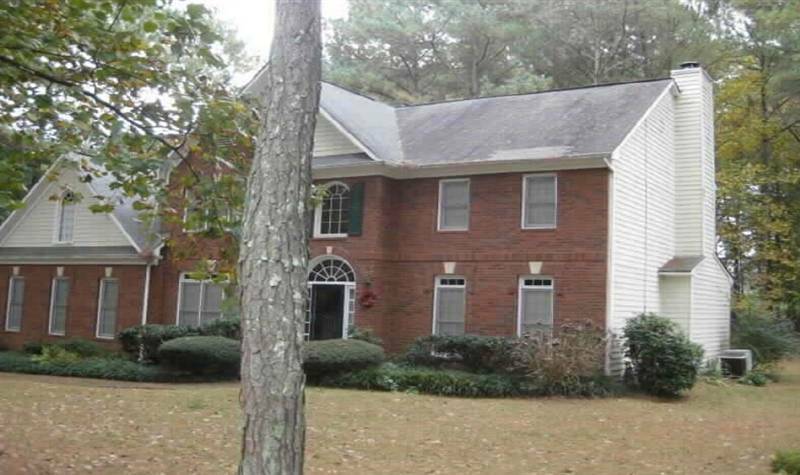 I will highly recommend May & Ernie (Atlanta Mortgage Lending) to friends looking to buy or refinance a home. This is what I would describe as a 5 star mortgage lending company. 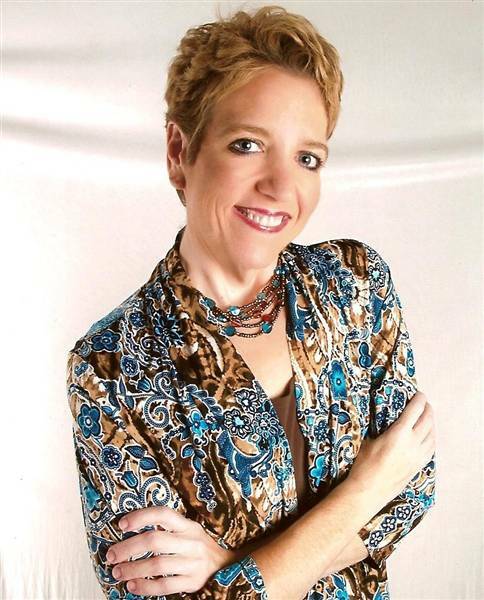 After a disappointing experience with another realtor, I was introduced to Lisa Cushman. 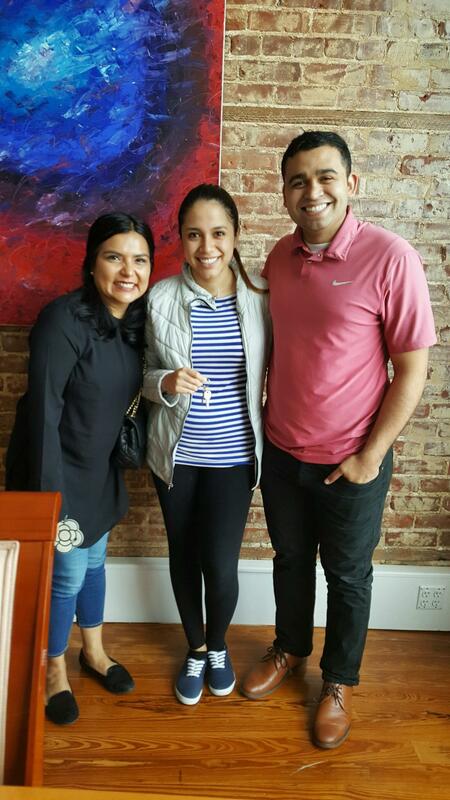 She came highly recommended from May Smith at Atlanta Mortgage Lending and helped to make my home buying experience less stressful. Lisa is a great realtor and I would definitely recommend her to anyone I know who is house hunting. She focused on my preferences to help me find not only the perfect home, but the perfect neighborhood as well. I am 100% satisfied with my experience with Lisa. 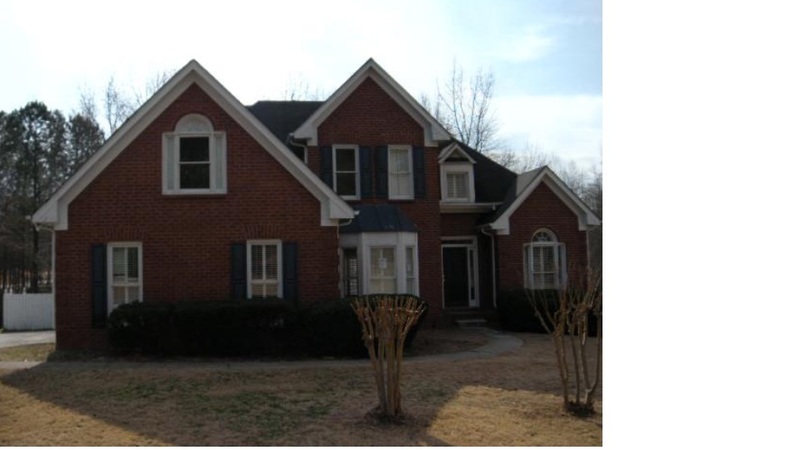 She was extremely attentive and always responsive when I had questions or wanted to see different homes. She did an excellent review and assessment of the comparative analysis value of the home prices in the neighborhood of my interest. Based on the results of the appraisal I can honestly say she was on point. Lisa, I will never forget you and will be forever thankful. 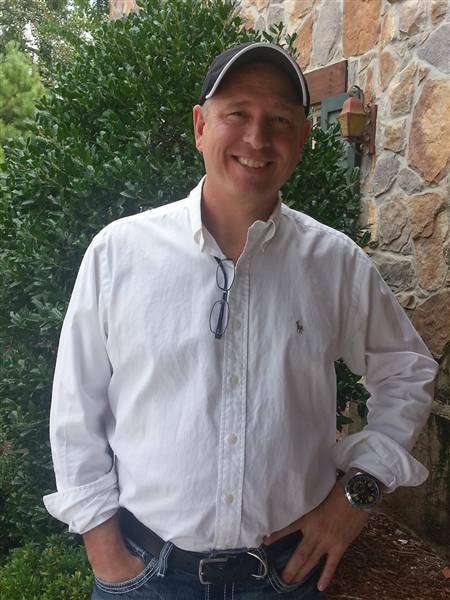 I cannot exress enough gratitude to Daniel Govin and Atlanta Mortgage Lending! 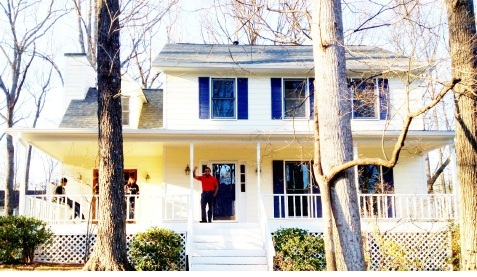 I found myself solely purchasing my very first home at the young age of fifty four. I had purchased homes in the past as a co-borrower and I had not been part of the step-by-step process that is required in home lending. I was extremely nervous but after my first conversation with Daniel, I knew that he was someone I could trust to help me through a very large financial decision. In retrospect, I am uncertain if I could have completed the process without Daniel. Not only did he answer all of my first time homebuyer questions two or more times, he also made me feel comfortable with terminology that at times baffled me. The first worksheet looked overwhelming but Daniel went through each line and explained it until I could truly understand the meaning to my pocketbook! With each step of the entire process, his expertise in the lending business was so evident. When he did not know an answer to a question, he would remark that he would like to know that answer as well and he would get right back to me. He spent a considerable time reviewing my many options, finding the perfect loan to meet my needs. Amazingly, he was beyond accessible, working around my crazy work schedule! Furthermore, the collaboration that Daniel fostered between all parties involved went extremely well and hastened the entire process. 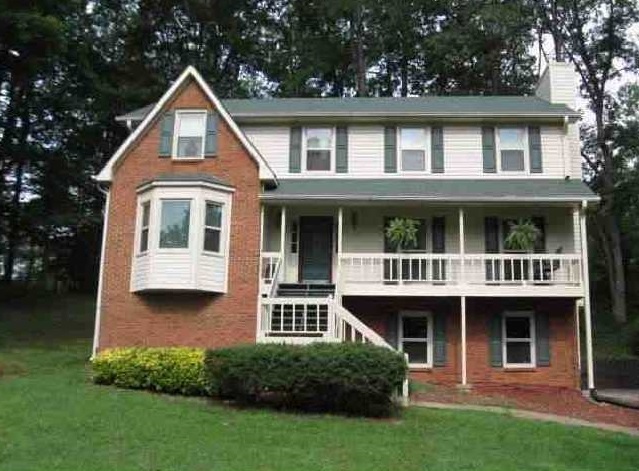 I am extremely pleased with my first home purchase! Thanks, Daniel. You truly are the best! I would like to say thank you to you and your staff at Atlanta Mortgage Lending for helping through my home buying experience. My credit was not as good as it needed to be and you guys worked with me on a one on one basis and guided me through the process from the time I started looking for a home to the day of closing. I am now in a home that I really like and can afford and I wasn't sure that was possible 4 months ago. I would like to say that I would recommend you and your staff to anyone who is looking to purchase a home with bad credit or good credit because of the time spent working with me on an individual basis. 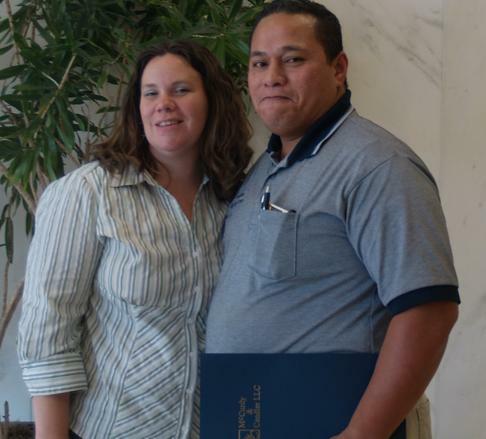 David has honorably servived in the US Navy and exercised his VA benefits to secure a VA loan. Atlanta Mortgage Lending is proud of our committment to helping the men and women who serve and protect our country to take advantage of the benefits they have earned. David is one of our favorite clients. 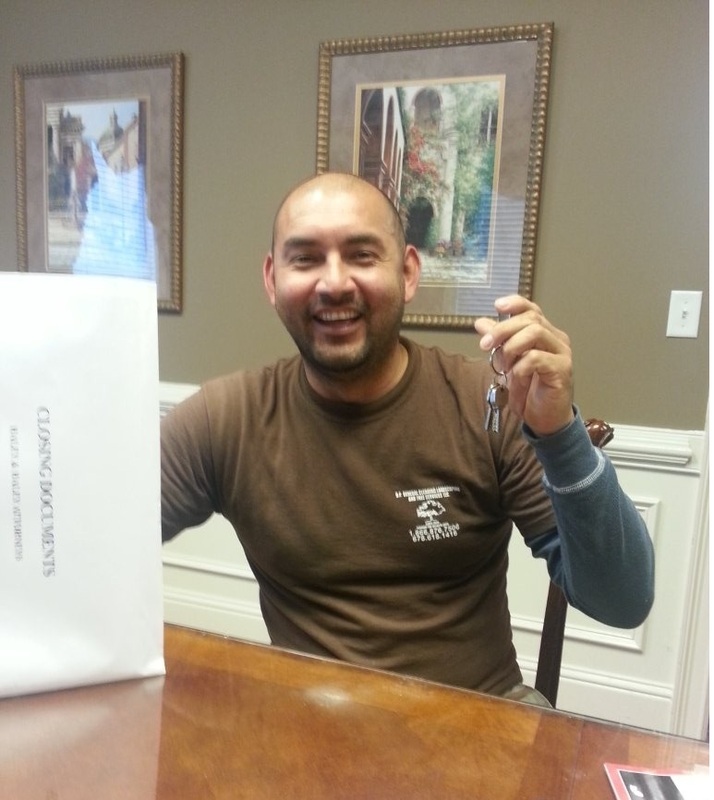 We were excited to help him get into a home he and his daughters can enjoy. We are excited to see he has already updated the kitchen and we feel honored to have helped him. 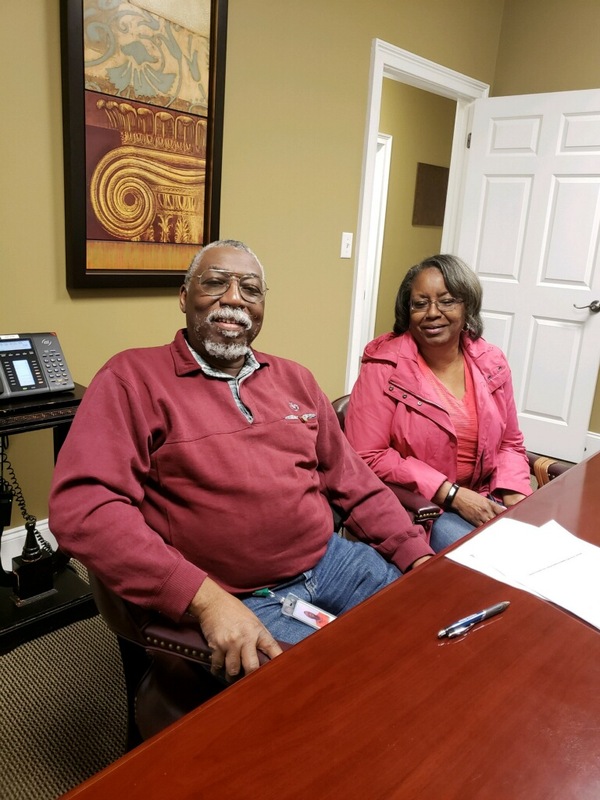 It was a pleasure to work with Gail Hunter the selling agent and Gordon Blackwell, the listing agents who helped him realize his dream of home ownership! Daniel Govin is a great mortgage loan officer who understands the entire process and is very knowledgeable of the system. Daniel was working with me in early 2011 and I was unable to purchase a home at that time since I was still in a rental agreement. I did not want to terminate my agreement early so I told Daniel to get back with me when I was closer to the end of my agreement. Daniel emailed me at the time he knew I would want to start looking and we started the process in early March 2013. Daniel was able to answer all my questions and he returned all my phone calls within minutes. Daniel was able to provide me a rate at the beginning and what my payment would be. I was able to lock in a rate and was able to close on my home. I would recommend Daniel to anyone who is either buying their first home or looking to refinance their current mortgage. Daniel is very knowledgeable of the system and works for you until the very end. I will use Daniel again. Congratulations Terry! I am glad the mortgage payment met your budget and now a home for you and your family. Thank you for trusting in my knowledge and the service I believe every client deserves. Most importantly, able to assist you with a VA loan, an excellent loan program for our military personnel and one we are very familiar with. Not only did I meet a good client to work with in you, but also a good person in general. Thanks again. What to do when you buy a home? Who can you trust? Is this the right choice? These are some of the questions running through my head when I was planning on purchasing my first home. Luckily I was referred to speak to an individual name Daniel Govin. At first before actually speaking to him, I was like “What am I doing just talking to someone I have never met?” But regardless of my thoughts after that first phone call with Daniel, everything clicked! Daniel expectations were beyond what an individual could get at their local bank. I know this because I went to my local bank for a loan and the experience was horrible. My realtor had trouble getting in touch with bank and things became stressful. Daniel easily fixed that once he got things going. He goes beyond measures to insure creditability. He doesn’t want your business only, but he values your friendship as a client. He gets to know you before making business. I find that as a hard quality to find in people these days. Daniel’s knowledge of the mortgage business was amazing. Daniel doesn’t pressure you into anything. He gives facts and his best-educated opinion throughout the process. Not only does he knows what he is talking about, but he also educated his customer as well. He would take time to explain abbreviations, amounts, and how everything works. Whether it’s a document that I never seen before or just general information that’s in my best interest. He evaluated my finances and my budget and worked with rate and payment amount, which met my budget. In fact actually got me a better rate and price overall than expected. See if your local bank is willing to do that. Anytime I had a questions Daniel was there. Always picked up. No matter what time or day. Even for the silliest questions I may have had he was reachable by phone and email. Rarely did Daniel not answer his phone and if he’s going to be away from his phone for a meeting or something he lets you know ahead of time, so if you do call and leave him a message you know why, and would see that he calls you ASAP. Buying a home is teamwork. Daniel was part of my team and we hit a homerun on this home. I couldn’t have asked for a better, loyal, caring individual that values clients more than business. Atish, I am humbled by your kind words and your experience. This is exactly what I strive for in every client I work with. I want them to have a pleasant experience. Also, to feel as if they are not lost in the process. It never has to be this way and yes, I hear the horror stories of what others go through when they reach out for assistance with mortgage financing. I enjoyed the teamwork relationship and your sharp attitude. But most importantly, the satisfaction of meeting your expectations and providing an excellent interest rate. Best wishes and you have a personal mortgage consultant for life! May y Ernie: Buen attencion, buena communicacion, con todo lo que necesitabamos se hizo possible. Y excellente trabajo en el prestamo de mi casa. Y adoro a mi casa! Gracias a Atlanta Mortgage Lending. Dios los bendiga! 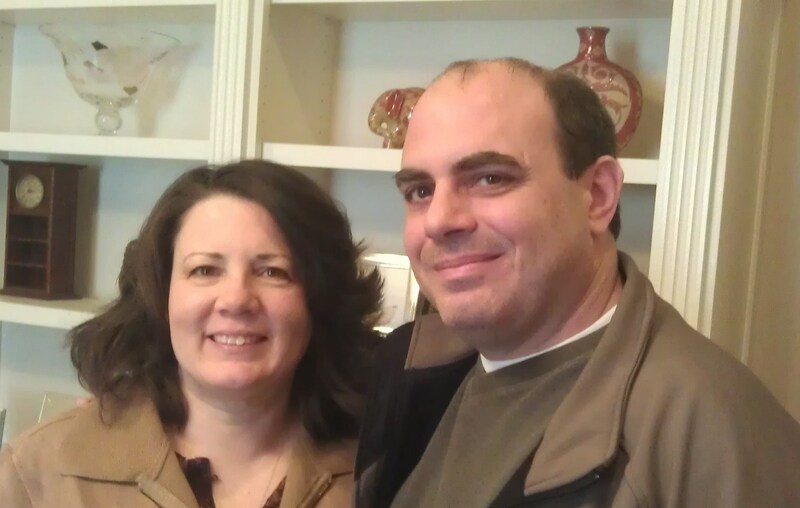 May and Ernie: Good attention, good communication, and everything that was needed to make our home purchase possible. Great work on the loan for my house! I LOVE my house! Thanks to Atlanta Mortgage Lending. God bless you both! Working with Daniel, searching for a home was such an easy and stress free environment. I was able to build a friendship and a true trust with him over the last couple of years that helped me grow and make this milestone a special event. The horror stories I've heard with buying a new home were not the case working along with Daniel. 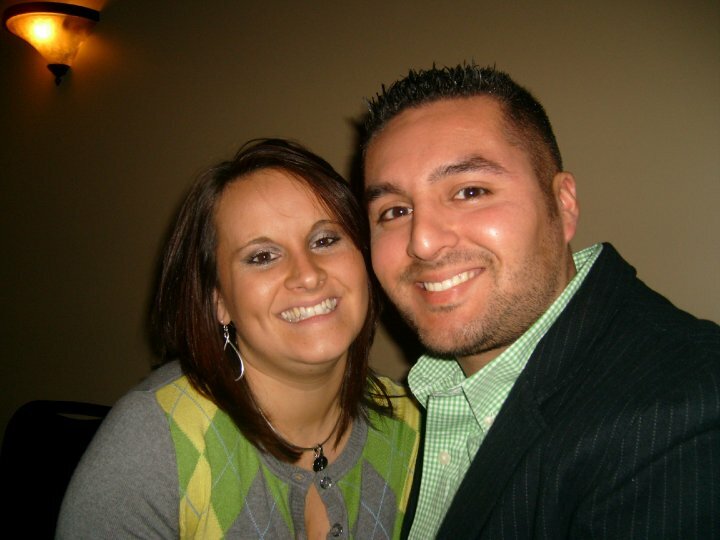 - Daniel’s knowledge of the mortgage business was tremendous and very beneficial. He helped me build my credit score and broke down everything step by step with loans and covering all phases of buying a home. - Daniel has a good heart and willing to go the extra mile to make things happen for anyone in need of trying to get a home. I'm only 26 and the things he did to make my dreams come true were professional and more like a friend than someone who is just trying to quick sell you. I am happy I got the chance to build a relationship with him for years to come. Thank you Daniel I really appreciate your efforts and trusting friendship the most!!! Jaquez, thank you very much for your kind words and providing an opportunity to work with you. Many think the mortgage process is difficult, but as you mentioned is a matter of trust, knowledge and good service to all clients. 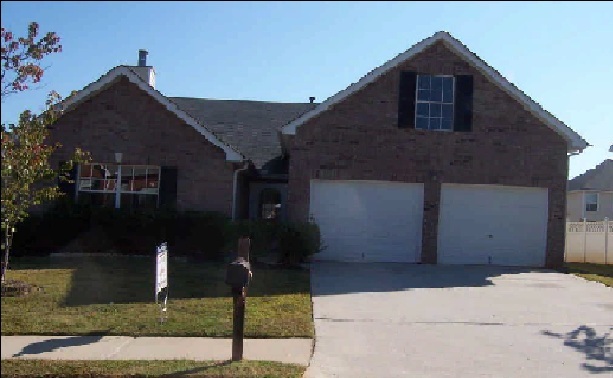 In your situation, you were able to purchase an 83k home using the USDA program with no down payment, no mortgage insurance with a total payment amount of $637 including principal and interest, taxes and homeowners insurance. Jaquez, you were a pleasure to work with and I thank you for your business. I am very pleased I chose Daniel to handle my refinance. Daniel worked day and night to complete the process in a very fast and efficient manner. He explained all the documents and why they were needed and he went over every item in detail so that the process was easy to understand. It was obvious he is very knowledgeable about the industry and strives to provide great customer service. He acted in an extremely professional matter and went above and beyond making me feel comfortable with the process. I would highly recommend his services to anyone needing a new or refinanced mortgage. Lisa, thank you very much for allowing me to assist you. I am very happy you had a pleasant experience. 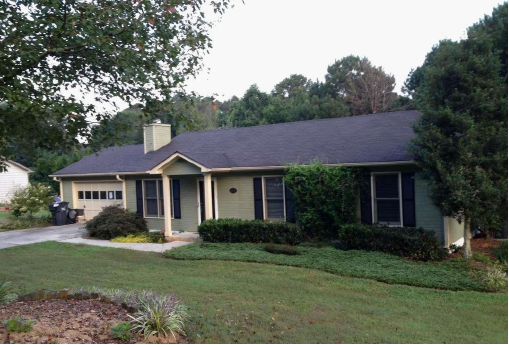 We recently refinanced our home with the help of Daniel Govin. He was great to work with, always returning our calls and emails promptly. He kept us up to date throughout the process. Daniel is on top of his game with his knowledge of the mortgage industry. We could not have asked for better! Daniel was excellent to work with and we would highly recommend him. Thank you very much Stephanie. It was a pleasure working with you. It was also rewarding, for me, to be able to save your family over $280 a month. Daniel Govin did a superb job. He assisted me through a process that many find stressful, but Daniel made the process move along smoothly due to his dedication. He works very hard for his clients. I’ve purchased homes before, but never had the experience of working with someone who works as hard as Daniel did with the purchase of my home. Daniel always knew me when I called and spent quality time talking to me. He didn’t hesitate to explain details. I sincerely appreciate his diligence and should I buy again, I will call Daniel. I will definitely recommend Daniel to those seeking a mortgage. Why? Daniel has a passion for what he does and this definitely sets him apart from others in the mortgage industry. June, thank you very much for your kind words. I am satisfied only when my clients are satisfied. I thank you again for choosing my services in order to meet your needs. Daniel Govin truly conducts business with the “heart of a teacher.” I was surprised how transparent and forthcoming he was when tailoring the loan to our specific needs and answering all of our questions. Other loan officers would call that “giving away the farm,” but to Daniel this is simply providing his clients with the knowledge and trust to make informed decisions. He went above the call of duty in making sure we were completely satisfied. In just 16 days, Daniel was able to customize and close a loan that met our needs and fit in our budget with no surprises at the closing table. I appreciate your kind words. But importantly, I am very happy we were able to meet your family’s needs. Let me start by saying that I’m a research analyst. While trying 2 different times to purchase the house of my dreams, I was told that this loan would not happen. Mind you, these were in-house loan offices from reputable companies. It seems that sometimes when you go to the places with the big names, the little people get pushed to the side. 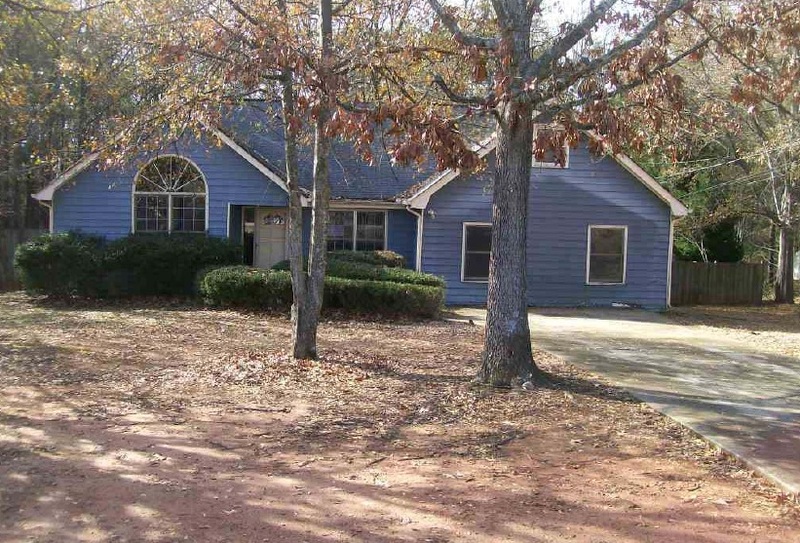 I wasn’t ready to give up on the house of my dreams. I knew that I needed someone that would feel the same way I felt and actually work. I finally started researching on-line for about two day. I came across this site www.am-lending.com. Now the first thing about researching for a website is to weed out website in steps. In this situation I know I wanted a mortgage broker because, a mortgage broker will shop your loan around for the best rate and loan type. Step 2: I look for testimonials, because who better to tell you how good a company is, the company or the people that used the company. 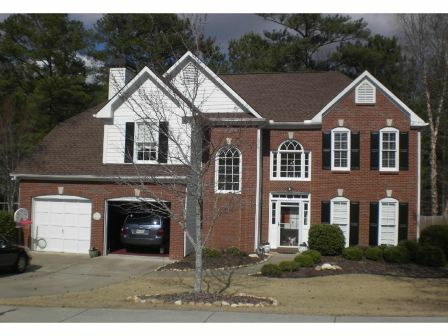 This was better, this website had testimonial with pictures of the buyer and their home, I was hooked. May and Ernie both worked by loan for 3 months and never took no for an answer. May always told me “ Its one thing if I’m wrong, but I know I’m right, this loan should go through.” That was enough to make Ernie and May to fight tooth and nail. Even when I had problem with the VA department working at their usual slow pace, May called them direct along with the lender and made them talk face to face to resolve and issues that otherwise could take another week. Thanks to Ernie and May My family and I are in a beautiful home. They are unstoppable as a team. I’m blessed to have met them. Greg is one of our favorite clients! 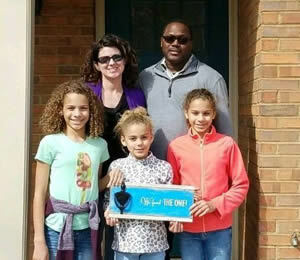 We loved helping him get a great price on a new home for his growing family, with enough bathrooms for all the ladies in the house to get beautiful at the same time! 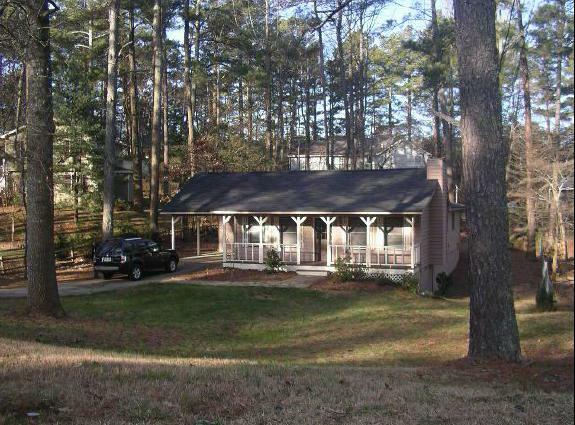 Greg worked hard to help us meet the underwriter’s requests, and it paid off! Congratulations, Greg and Vanessa! Mi nombre es Raul Manzanera, recientemente cerramos el contrato para una nueva casa y escribo lo siguiente para recomendar ampliamente los servicios del Senor Daniel Govin quien nos ayudo a conseguir un buen prestamo. Daniel nos consiguio un muy buen interes, siempre respondio mis preguntas, y contesto a mis llamadas de telefono aun cuando no fueran horas de trabajo. En todo el proceso fui atendido muy profesionalmente y sobretodo en espanol De acuerdo a todo lo anterior, si tuviera que hacer un nuevo prestamo, llamaria a Daniel y tambien lo recomendaria a familiares y amigos. My name is Raul Manzanera, recently we closed on a new home and I am writing to share that I would strongly recommend the services of Mr. Daniel Govin, who assisted us in acquiring a very good mortgage. Daniel provided a very good interest rate, always provided answers to all of my questions and returned all of my calls even after normal working hours. During the entire process, he was very attentive and professional. In addition, did all of this in Spanish. 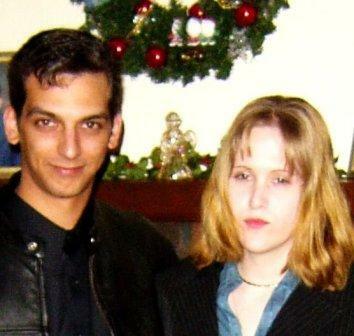 In regards to my past experiences, if I had to do it all over again, I would contact Daniel again and recommend him to my family members and friends. Raul, thank you very much for your kind words. it was my pleasure working for you and am very happy I met your expectations. It was more satisfying to me and important to do the financing of your new home, place your daughter in a school district which brought you and the family peace of mind. Thank you for making this happen. You all rock. Your knowledge and advice in the real estate finance side of things are immeasurable. I will recommend AM lending to everyone I talk to. I can't wait to have you over for dinner. I have confidence that those seeking services and expertise from Daniel Govin will learn quickly he has their best interest in mind. He found a rate and a loan that met my budget and preference and truly dedicated himself to ensuring things stayed on course. He balanced several issues with my circumstances and I was grateful to have his help through the process which I was honestly dreading. Lana, it was a pleasure meeting your needs, especially compared to the other option you were offered. I care and AML cares too! Ernie and May Smith were are awesome mortgage lenders, they walked my mortgage all the way through to the end. 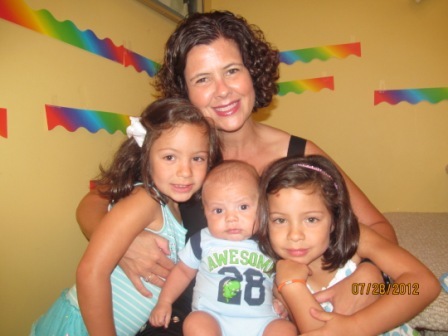 "FHA 203K loan" is a VERY difficult loan to close within 45 days, but Ernie and May did it! They were both very professional and committed to my loan. They communicated daily on any documents, holds, or problems when processing in underwriting. 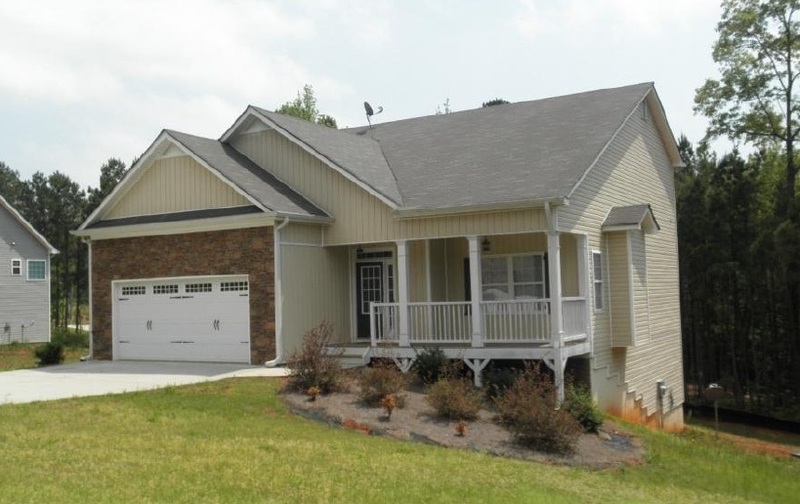 In the end, The Smiths worked hard on this loan, made it happen and we are a happy family in our new home! They are more than just lenders, they are friends....Thank you so much and we would recommend to anyone looking for a lender! 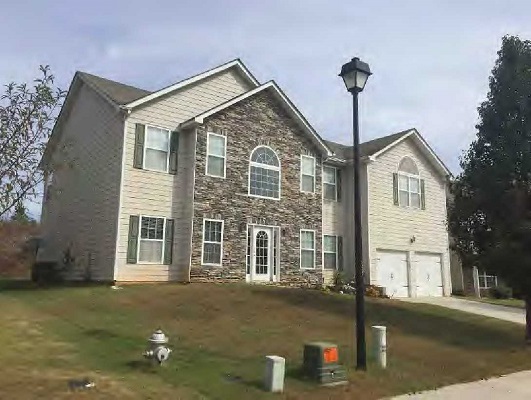 Jason got a great deal on their home, which was a Fannie Mae foreclosure, using a FHA 203K streamline rehabilitation loan. The property which was vacant, was in disrepair due to to being vandalized. Normally most conventional and FHA lenders will not lend on properties that are in disrepair. Since most sellers are unwilling to make repairs prior to closing. borrower are caught in a "catch 22" situation. 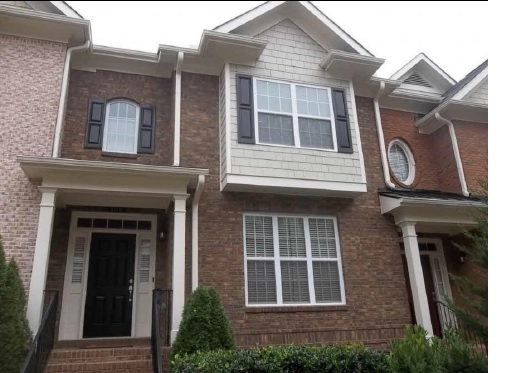 Fortunately Atlanta Mortgage Lending specializes FHA 203K loans which allowed Jason the buy the property and finance the cost of the repairs closing the sale prior to the completion of the repairs. I want to start off by saying thank you very much Daniel for all of your dedication in helping me with the financing of the purchase of my home. I was a first time home buyer who had obstacles to overcome and Daniel provided me with outstanding help in order to get me where I am today. Daniel was very knowledgeable and explained everything to me step by step. Daniel also helped me keep the budget that I was looking for. A great feature about Daniel was that I could call him day or night, seven days a week with questions or concerns and he was always there to take my calls. I couldn't have asked for a better experience in buying a home. I have already recomended other people to use Daniel and hope that they have as good of an experience as I did. Javier, thank you very much for the kind words. I enjoyed assisting you with the financing on your first home. I know how much you looked forward to it and appreciated your trust in me. 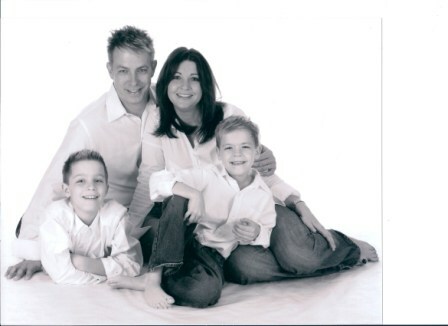 Daniel Govin was our first mortgage broker when we bought our first home in 2006. We were so impressed with his services we used him to refi our home in 2010. Mr.Govin went above and beyond expectations and was always on call and answered e-mails in a timely fashion. It was never too late to call Mr.Govin when we had questions. Not only did he save us money the first time around, he saved us money the second time around as well. We will be using Mr. Govin’s services for our next home should we decide to move in the future.To Daniel, thanks again for helping us out and for being such a wonderful person to do business with! I will always sing the praises of Atlanta Mortgage Lending! Ernie and May Smith were more than just mortgage lenders, they were instrumental in saving my sanity. 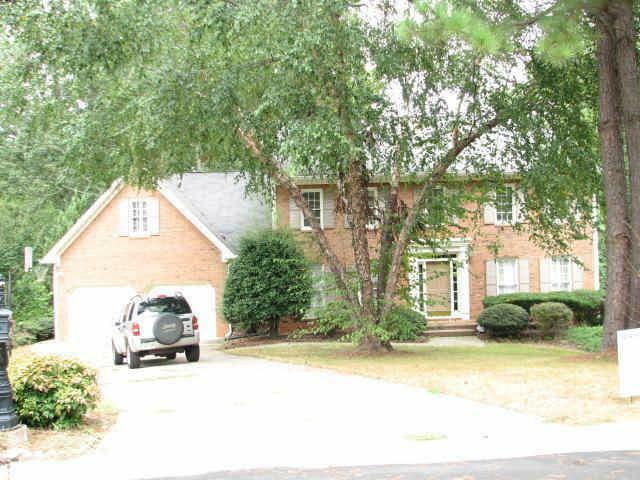 In brief, the home that I wanted was deemed a nightmare from the day I made the offer (April 4, 2010)! The seller’s agent was a novice and was not very helpful in the short sale process at first, but the Smiths became my allies and worked to get my loan approved and more! Ernie was the brass tacks of the operation and May was the listening ear (which I desperately needed). The Smiths worked daily on getting my tax transcript that was delayed past the offer date and once the tax info was released from the IRS, I thought I’d be home free… NOT! Once the appraisal was complete, there was a mold issue in the basement which meant that I could not get past underwriting without investing my own money to have it remediated. I did get the mold removed; Ernie pushed the loan through underwriting, and thought this is the last step… NOT! The loan was approved in early May and an extension written on the contract, but there was a “surprise” lien on the property that shouldn’t have been there. The seller had a personal tax issue and that almost put a halt to my home-buying. 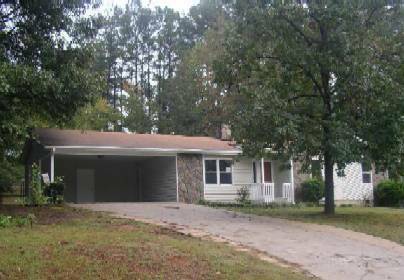 THIS is when the seller’s agent and May Smith became tenacious and assisted in removing this lien. Ernie and May continued to keep me informed daily and when the lien was removed, the Smiths tried to get a closing for that day (June 4). I was scheduled to go on vacation June 5th and the Smiths wanted me to knowing that I was a new home owner. Well, in the title search process, the closing attorney found yet another lien on the property and closing was stalled (again). The Smiths never gave up, and while I was on vacation, worked with the seller’s agent to get the second lien removed. 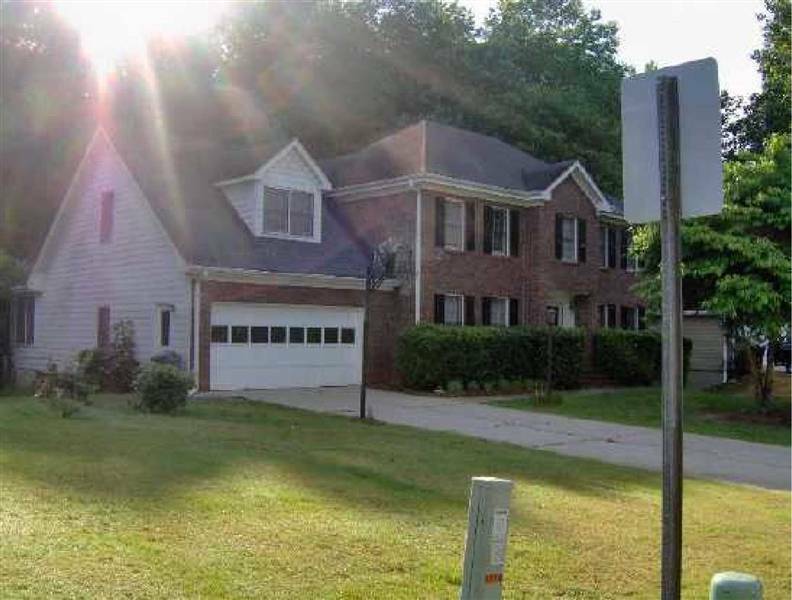 To make a long story short, Ernie and May Smith (and the closing agent) were able to get a clear title and we closed on the home on June 25, 2010. After nearly three months of crying, conversing, and consoling, I purchased my home. 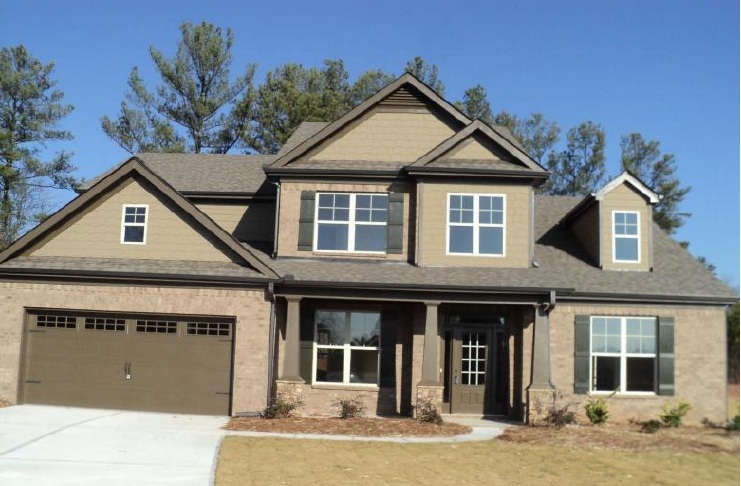 I can undoubtedly say that if it weren’t for the Smiths at Atlanta Mortgage Lending, I would not have had a prayer in purchasing my new home! They are my angels here on earth and we tease each other about having to wean ourselves off of one another because, during the last 30 days of the loan process, we talked daily. I still call and email them every other day and I believe that the Smiths at Atlanta Mortgage Lending are more than lenders; they have weathered the storms with me and have become my friends! 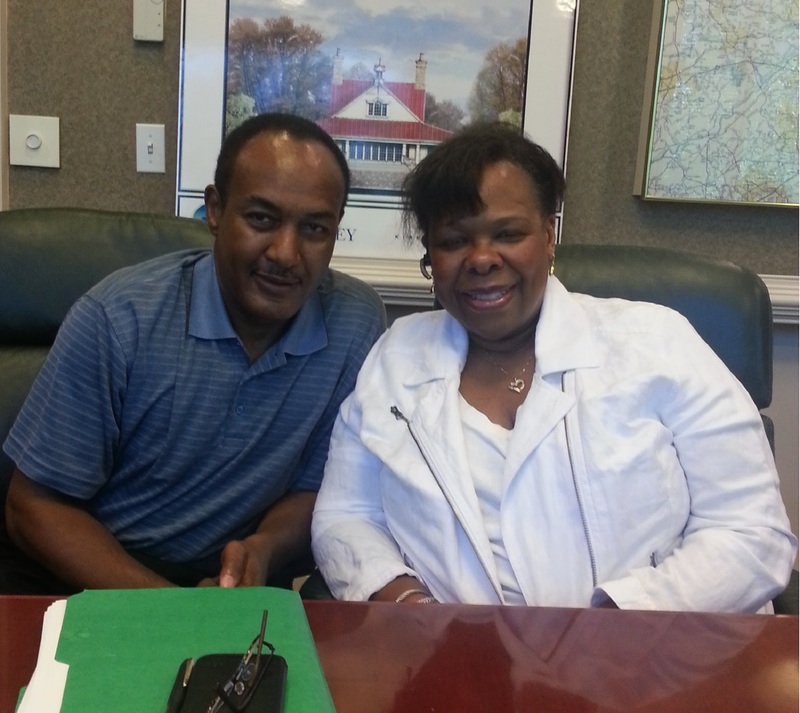 I will always sing the praises of Ernie and May Smith at Atlanta Mortgage Lending!!! This letter is to share my thoughts about how my real estate agent really WORKED for me. Although I was responsible for finding my home, Jeff Anderson was instrumental in making it mine. 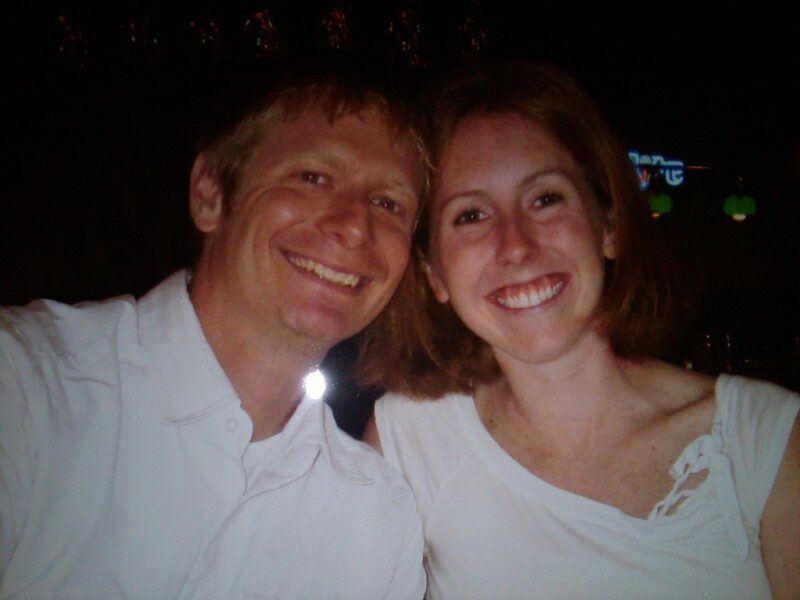 Jeff worked tirelessly in protecting my interest as a buyer through the home-buying process. 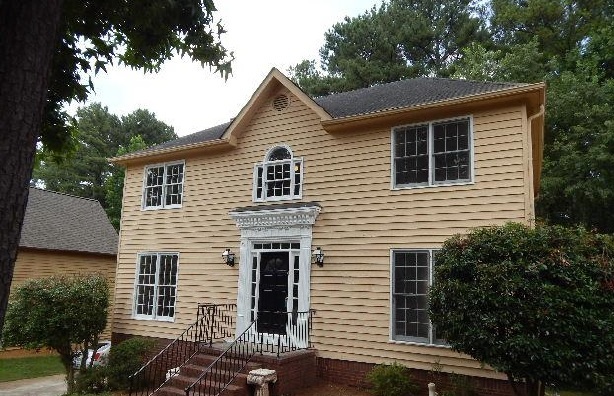 When there were issues regarding the home, he took the reigns and led me and the seller’s agent through the hoops that had to be jumped (and there were plenty of issues from liens to mold to contract extensions). If I were to ever need to buy another home, I would use Jeff Anderson and, in the meantime, will refer him to all my friends and colleagues at work who are in the home buying process. We cannot say enough about how great our experience was with Daniel Govin. The property we purchased had many “out of the box” challenges and Daniel attacked and overcame everyone. His knowledge in the mortgage business showed through on numerous occasions working through our purchase process. We received a great rate, with a payment amount that was exactly what we looked for within our budget. Daniel was extremely accessible anytime day or night that we needed him. He was always very punctual returning email or phone calls. Words cannot express how much of a value it was to have Daniel involved 100% in the process and always kept us up to date on the status of our mortgage process. I would recommend Daniel to all of our friends or family looking for a solid, secure mortgage loan officer. Thank you very much David and Beth. It was a pleasure working with both of you. It was very satisfying to make a difference knowing how much the home meant to both of you. This is my fourth experience buying a home in my lifetime. Each time it seems that the lenders ask for more information making the process slow, frustrating, and sometimes irritating. 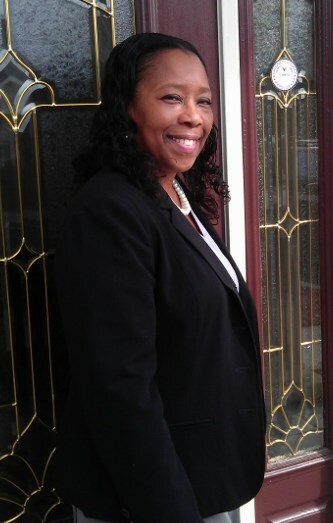 I felt very fortunate to have a terrific real estate agent, Pat Wallace of Pat Wallace Realtors, to guide me through the dos and don'ts of buying HUD and foreclosed homes. We found our ideal home within weeks and she dealt with the online bidding with a smile of her face. When I got frustrated, she was there to pick me up and encouraged me that it would all work out. 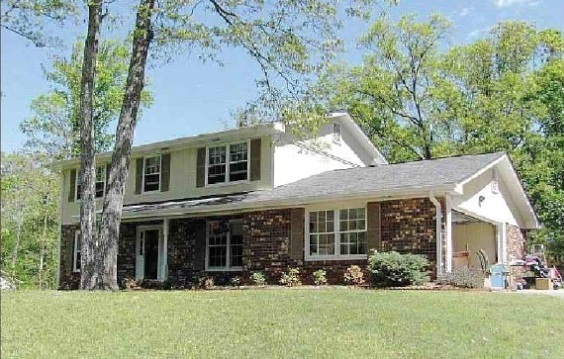 Once we found the right house and won our bid, then the lending process began. So many times I just wanted to cry. So many nights I lost sleep because of all the information that the lender wanted. HUD home buying is not for the weak of heart - that is, unless you have May and Ernie Smith as your lending agents. When I wanted to cry, they made me laugh. When I felt like giving up, they told me not to get discouraged and would share stories about people who went through the same ordeal and came out smiling. I love my new home. I got a great deal and I owe it all to Pat, Ernie, and May. Without them, I am positive it would not have happened. Thank you for riding this process out with me. Oh, and I trusted them with my daughter and her first house. They were wonderful and she now is enjoying her beautiful new home, too. We are very pleased we chose Daniel to handle our refinance. We had a rather complex situation in that we were combining two mortgages on separate homes into one larger mortgage on one home. 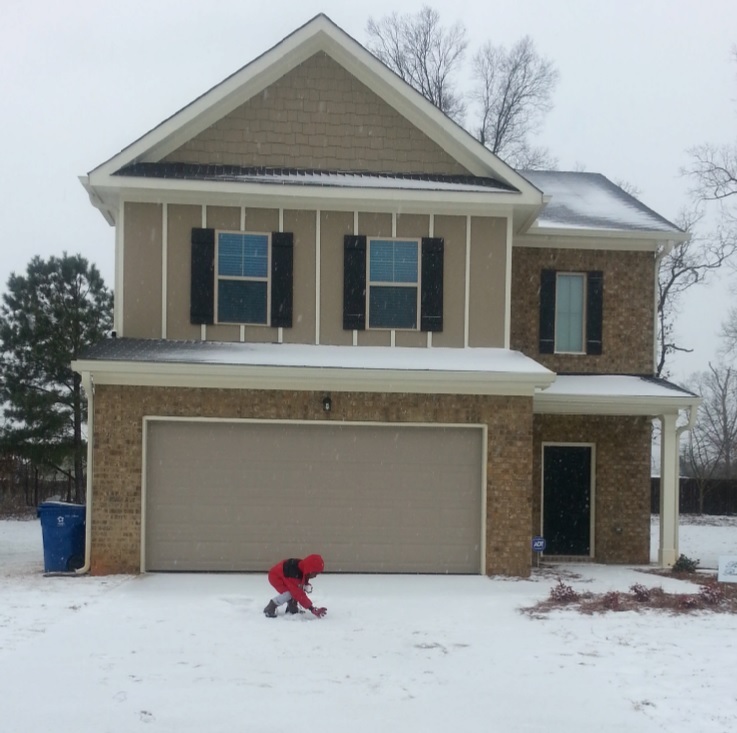 Daniel worked day and night to complete the process in a very fast and efficient manner. He explained all the document requests and why they were needed He went over every item on the Good Faith Estimate in detail that was easy to understand It was obvious he is very knowledgeable about the industry and strives to provide great customer service. We would highly recommend his services to anyone needing a mortgage. I would like to thank you for your commitment and service to your customers. It has been a long time since I have worked with a team as sweetly stubborn as you have been in my behalf. Bulldogs just don't stand a chance. Though I know most foreclosure properties have issue that are attached, I guess I expected my case to be different. Even though it was not, you prepared me by giving me an understanding of the best and worst potential situations. You fought for me with lenders, underwriters, the VA (at many levels), and with the attorneys. I am grateful for your assistance in getting the loan in a time frame that was easier for Yukiko and I, rather than yourselves. I am also very appreciative of your honesty in things that I did not always want to hear, some advice that was not required, and for the friendship your kindness brought on. You truly made it happen for us. My wife Yukiko and I are very pleased with the services you rendered in our behalf, in so many ways. We look forward to referring our friends and acquaintances in your direction, out of a trust you both have developed with us. We were first time homebuyers and May and Ernie walked us through every step of the way, making it easy as buying a house could be. They locked us in at the best rate possible and looked after our interests. Holly Friend was the best real estate agent we could have possibly chosen to represent us. She was on top of things, guided us through this process, which can be overwhelming. We would like to thank May and Ernie with Atlanta Mortgage Lending and Holly Friend with ERA Realty for all of their hard work in making our dream come true! May and Ernie Smith made buying our first home much easier. All the information they gave us over the phone was followed by written documentation. This helped enormously since we had something we could review later. We will never use other loan officers than May and Ernie! 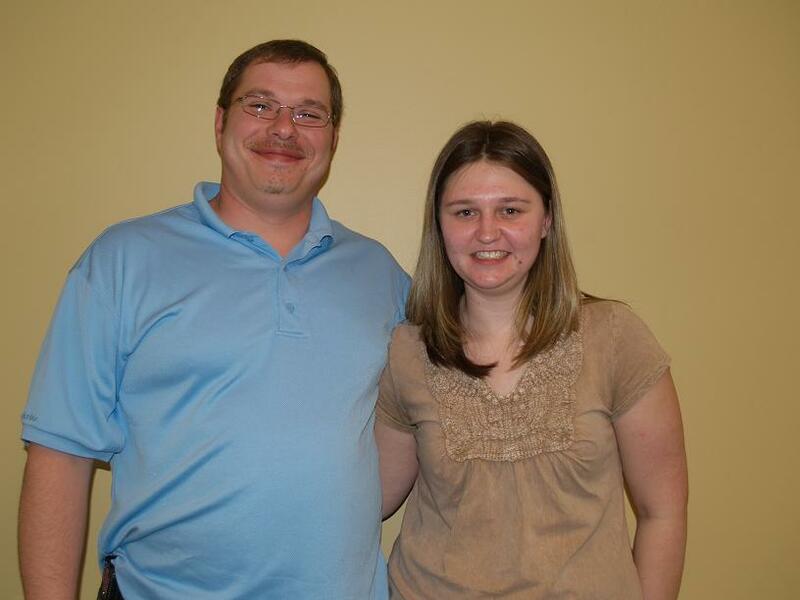 Congratulations to Chris and Laura Anderson on the purchase of their first home! We appreciate the opportunity to get to know them and to serve them by helping them through this process! We wish them happiness and prosperity in the future! 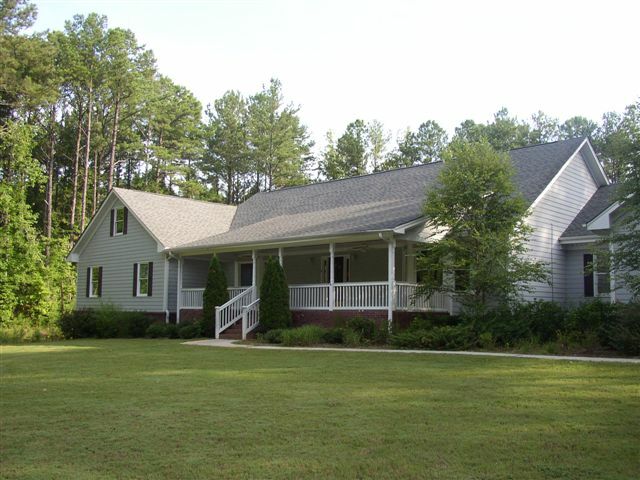 Check out the photo of their new home and what they had to say about the service they received! Chris and I were paying way too much in rent and wanted a home, but didn't know if we could afford one. After going over the figures of how much we would save in taxes, we are paying less for our home then we were in rent. May explained everything in detail and her estimate was only dollars off. We will and have recommended her and her husband to friends just starting out and trying to find the best deal. But we will be coming back to her for our future home purchase lending. Thanks to May and Ernie for all their hard work, late nights on the phone and patience with us. We would never be in our house with out you two! Thanks again so much!!! Mary Ellen SmallChris and I were very pleased with how determined she was to find us a house in a good neighborhood, at a price we could afford and one that we loved. 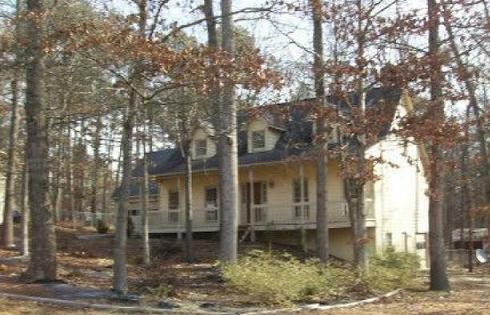 We looked at so many houses and she never stopped giving a 110% to find us a house that we wanted ---and we were picky! 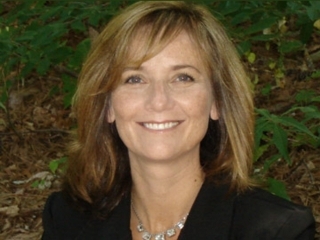 Mary Ellen is very educated in the construction of homes and knows the background of materials used in homes. She explained the pros and cons of siding, piping and other material usage that we would have otherwise looked over. She always remembered the houses we liked, disliked and why. I have, and will continue to highly recommend Mary Ellen to anyone searching for there next home. Mary Ellen didn't find us a house, she found us a home! And we will contiune to use her in our future home hunting. 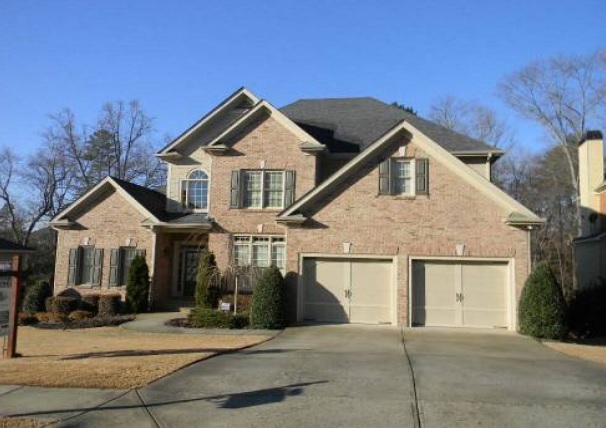 Atlanta Mortgage Lending was fantastic! 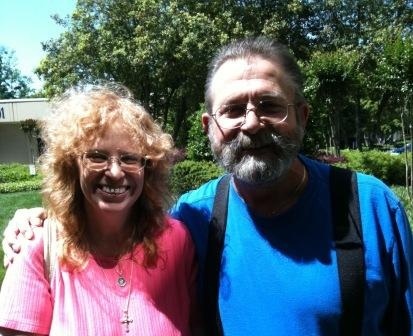 May and Ernie got us approved for a construction to permanent loan when other lenders told us it wasn't possible. And, the terms of the loan were better than we could ever have imagined. 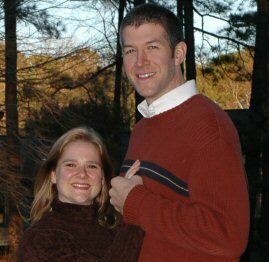 We not only benefited from their professionalism and expertise, but we gained two wonderful friends. Ernie and May are awesome. Without their help I don’t think I would gotten my house. I had good credit and a good job and I paid all my bills. But my loan was kind of hard to do because there were problems with the house and my job situation is unusual. I found a home I wanted, but I was using a different mortgage company. They said they couldn’t do my loan and they were sure Ernie and May couldn’t do it either. Ernie and May asked lots of questions, and they listened to what I said. They helped me explain my situation to the mortgage company. They even worked with my boss when she was on vacation to get the information they needed! Ernie and May went way beyond what the other people did. During the whole process, Ernie and May encouraged me and told me to hang in there and everything would be okay. Ernie and May work together, they are perfect partners. From the first day I met them, I felt like they would take care of me, and they did. 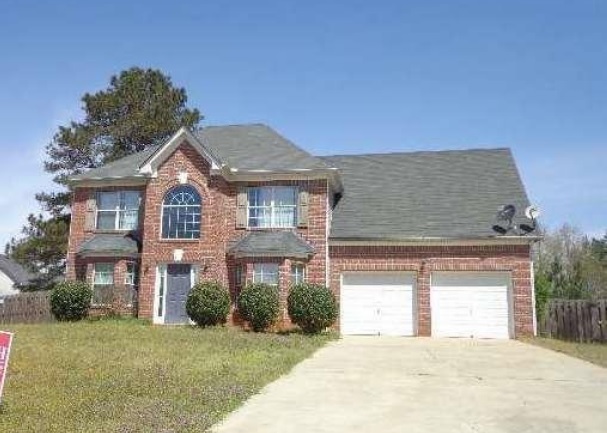 Now I have my house and I got a great price on it and a great payment. I wouldn’t have traded May and Ernie for anybody else, because I wouldn’t have my house without them. Pat Wallace, my real estate agent, did such a good job for me. Other agents took me to dozens of houses, but they didn’t really listen to what I wanted, they just dragged me around from house to house. Pat asked me what I wanted, and she listened very carefully to what I said. She sent over a few houses for me to look at, and she found me just the right house very quickly because she listened to me. I love my house. Pat listened to me and she helped me work with Ernie and May because there were problems with the house. She explained all my options and made sure I understood the contract. She was always there for me. I have recommended Ernie, May, and Pat to all my friends and I always will, because they did such a good job for me. I have two friends that are buying a home and using their services right now! Our hats are off to Brandon! He recently purchased this fixer upper, and with some work, he will have a lot of equity! He took his time, worked with a great agent who was willing to take enough time to help him find the home he wanted, on the land he wanted, at a price that will put money in his pocket! We admire your enterprising spirit! Best wishes in your new home, and we want to see it when you are finished! James listened to us and paid attention to what we wanted. I liked the way that he accepted us for the people we were and took time to find out what we wanted and needed in a home. He was very knowledgeable about the market. He worked to protect our interests all the way through. He is a helpful, charming young man, and we enjoyed working with him very much! May and Ernie Smith are almost TOO efficient: we had no idea when we contacted them on May 28th that we would be able to close on our new home June 15th! May sent us clear, concise information, guided us through the application process with a practiced eye for detail, and answered our myriad questions thoroughly and patiently. Ernie made the paperwork submission easy, giving us an absolutely fool-proof list of needed items and electronic submission options. We had no surprises at closing (which our real estate agent said was the fastest, most efficient closing he'd ever seen), and were at the attorney's office for less than half an hour. No kidding. And it just so happened that all of this went without a hitch even though May and Ernie were out of the country! The Smiths made the application, approval, processessing, and closing of our loan absolutely painless. We couldn't be more pleased with their work, and we give them our highest recommendation. 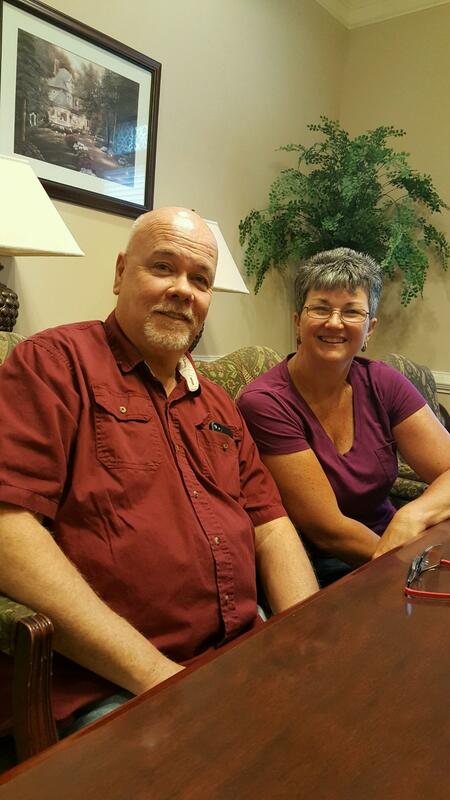 Congratulations to Eddie and Ellen Wynn on their new home! Eddie and Ellen found a fabulous new home. They love their new community and the friends they have made in the neighborhood and at Church, and are excited about the excellent schools they know are available to their children! 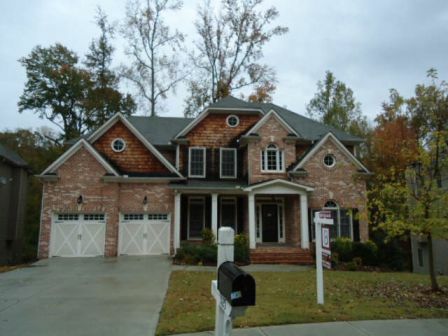 Welcome to Forsyth County and Best Wishes in your new home! We could not have been more pleased to have had the opportunity to work with John Foster on the purchase of our new home. 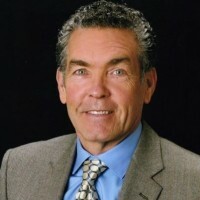 John's committment to his customers, work ethic, and follow-through are exemplary, and he was a true advocate for us in every phase of the process. We met with John for the first time on a Friday evening, and had a contract on our beautiful new home before the weekend was over! What's more: John sealed the deal for us while he was on vacation. John is honest, knowledgable, thorough, and pro-active. His exceptional care and attention to our needs helped us get into the right home, in the right neighborhood, at the right time, at the right price. It was an absolute privilege to be his clients. May and Ernie Smith are wonderful! We mean that, more than you know. These two have an amazing talent. We didn't really think we could even get or afford a home, and they showed us that we easily could. Every time we had a concern, they were quick to address it (even late at night). They also have all kinds of resourses and references. We can honestly say that every time we needed something, they knew the right place to go or the right person to call (and I tried others). They were right on the money everytime. We felt as if they were like our parents guiding us along the way, but not doing it for us. 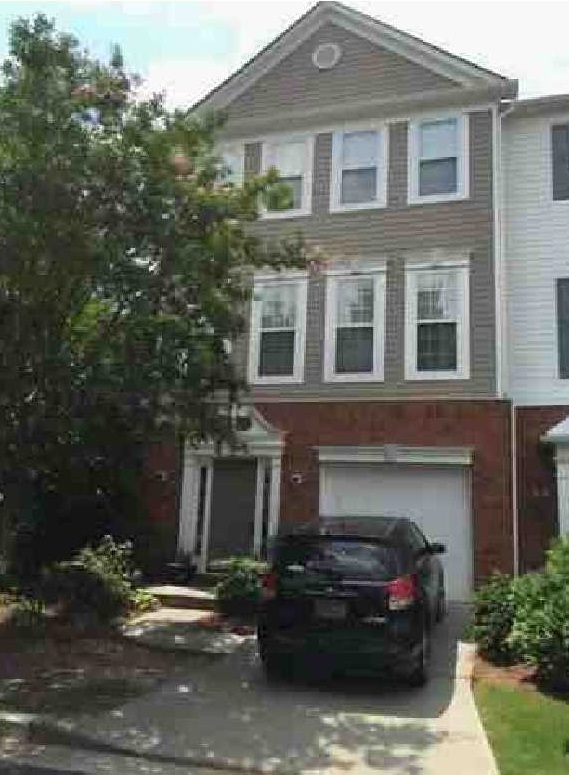 We are first time home buyers with a lot of questions and concerns. They address every one. Even at closing, they were going over all the numbers and making sure everything was as it should be. The numbers they first gave us, were pretty good. But, the numbers we got at closing were better than any other numbers we were given. It's like they are angels. Oh, did we mention how patient they are? We would highly recommend, and have, May and Ernie to everyone we know that is thinking about getting a house. Thanks again May and Ernie! Susanne and the team at Atlanta Mortgage Lending were absolutely great! The overall service and home buying experience was unbelievably stress free, and they walked us through the entire process step by step. Everyone was professional, and the customer service we received was outstanding! 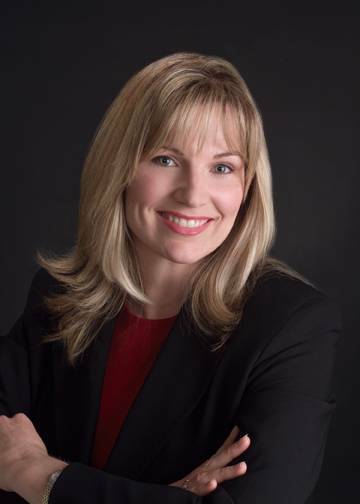 I highly recommend anyone who is looking to buy a home to contact Susanne Hammett at Atlanta Mortgage lending first! Susanne made this process so quick and easy for us! We lowered our interest rate and our monthly payment. What's not to love?! Love them! They know their stuff and treat you like family. Highly recommended! Susanne is truly the highest level loan originator I have ever worked with!! Closed in less than 3 weeks!! You'd be a fool not to work with her on your next purchase or refinance!! SUSANNE HAMMETT IS AWESOME!!! You can count on her for great service with Integrity, professionalism, and proficiency.